Tucson Moving Service offers moving services for both residential and commercial properties. No matter what you need, our skilled team of professionals has the experience and strength to help with all types of moves. Our Tucson movers pride themselves on our excellent customer service and attention to detail. This, coupled with our years of experience helps us stand out from the rest! Moving to a new house? No problem! Our movers will gladly help transport the stuff you need to turn your house into a home. Whether you just need one item moved or you need help with everything, we have the services that will fit your needs. We currently offer local moving services throughout the greater Tucson area. Long-Distance Moves are no problem for Tucson Moving Services. We offer long-distance moving throughout the state of Arizona, to neighboring states, and even across the U.S. If you are looking for express delivery or are simply interested in our long-distance moving services, visit our page to see how we can best serve you. Moving your business? No sweat! We’ll help you switch offices and relocate stress-free. Moving warehouses, office buildings, or even your home office doesn’t have to be complicated with our help. We have the equipment and the know-how to ensure that your business will be back up and running in no time flat. As your Tucson movers, we will make your move stress-free and deliver everything on time to your destination, and that is our promise to you. We respect your rights and responsibilities as a mover, and we uphold all guidelines given by the FMCSA. Have questions about our services or why you should pick us out of all the movers in Tucson? Give us a call. One of our specialized representatives will answer your questions and concerns and give you a quote right on the phone. Trust your local experts when it comes to moving: the Tucson Moving Service family. Here at Tucson Moving Service, we make your move a dream. You won’t have to worry about lost or damaged property. With us, you’ll get a no hassle and safe delivery every time. 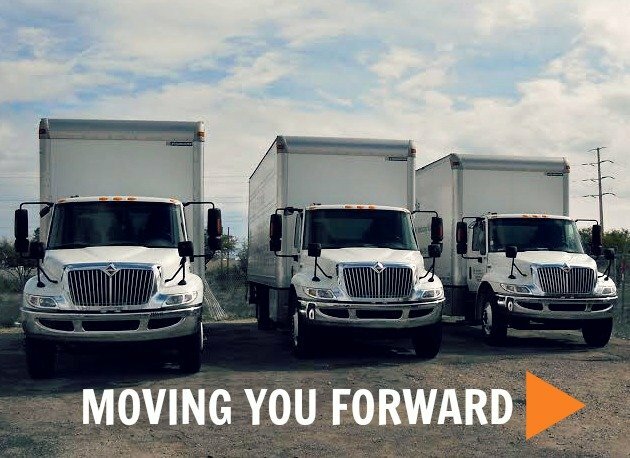 We’ve been moving families, individuals, and businesses throughout Arizona and the USA for over 20 years. As a trusted local and long distance moving company, we have a reputation that we want to live up to. Your belongings are important to you, no matter what they may be. Our team is detailed and cautious and will safely protect your belongings. We take pride in maintaining our moving truck fleet and using the latest features and safety standards. Finding the right supplies in bulk quantities to pack up your home or business isn’t always easy. Let us bring the supplies to you. Want an estimate on a future move? Give us a call, and you’ll have one right away. Anytime you have a question or concern about your upcoming move, we will be there with the answers. © 2016 Tucson Moving Service.